I have always been predisposed to the occasional migraine headache. Sometimes they are quite fleeting, a headache may come on quickly. I would take a nap and by the time I awaken, the headache is gone. Then there are other times when I get a forewarning in the form of light sensitivity or nausea. At the time of the latest occurrence, I had not had a migraine in months. I was hoping that the incidences had abated forever. I had grown accustomed to having continual good days and that day was no different, as so I thought. The sun came up and it started out as the most beautiful day I’d seen in a long time. This day, there are errands to run, tasks to attend to and plans that were made weeks ago, that were waiting to be fulfilled. On this beautiful day, there was no intention of allowing anything to get in the way of completing my checklist. Not even a migraine headache. Although determined to stay focused on getting everything done before noon and before the heat of the day set in, I felt a bit unsettled. Moving as fast as I could, I simply wanted to get from one task to the other in record time. However, before I could take any pre-emptive action, there came the first symptom that a migraine was on the way. As I was putting the groceries in the car, the sunlight seemed to become annoyingly brighter than bright. The sun was so bright in fact, that I quickly raced to my glovebox to retrieve my spare sun shades. I also grabbed a bottle of water and quickly drank half the contents. I prayed it was enough to head off what was inevitable. Maybe this small effort would be enough to give me the chance to finish up my errands and get home. Once home, I would try some simple home remedies for the migraine I knew was surely on the way. There are many things we all can try to help relieve a nagging migraine headache. Many of these are easy home remedies that will help to soothe the pain that a migraine can bring. For many of us, the most popular idea is to take a nap. Sure, a relaxing nap is always a great option. You know, darkening the room and allow yourself to go into a peaceful slumber that will de-stress your brain. However, if you are like me and live a busy life, dropping everything to take a nap may not be the easiest choice. GETTING HERBAL. Let the products of nature assist in stopping that bothersome migraine. A hot herbal tea made from a mixture of ginger, peppermint and cayenne has a reputation of relieving a headache and the nausea that can accompany it. If you are not the biggest fan of hot tea, go cold by creating a refreshing lavender and lemonade drink that is sure to soothe even the most wicked headache. Even CHEWING GINGER ROOT has the power to bring the relief you want. Maybe your migraine has you feeling a bit nutty. I tend to get that feeling of malaise that is an undeniable symptom that can be the precursor to a migraine. EAT NUTS. I keep a heaping bowl of almonds on my kitchen counter. It is so much healthier and satisfying to nosh on almonds than to take large doses of over-the-counter medications. In addition, here is an interesting fact – almonds contain Salicin and Magnesium. Salicin is an anti-inflammatory agent that is also found in aspirin. Magnesium is found in high levels in almonds. It can relax muscles and take away that nervous edginess. Magnesium can reduce stress and anxiety which possibly contribute to the onset of migraine headaches. DRINKING A SMALL AMOUNT OF CAFFEINE. Sure, I know that this can sound like a conundrum because too much caffeine can cause a headache. However, studies have shown that a small amount of caffeine during an intense migraine can have a soothing effect. If a small amount of caffeine is consumed as soon as the initial symptoms become apparent, there is the likelihood to improve the effectiveness of over-the-counter pain relievers if you’ve opted to take them. Take caution however, taking in too much caffeine can have the opposite effect. For those like me that are addicted to the caffeine in that morning cup of Joe, drinking too much can make the migraine headache pain much worse. EAT TURKEY! You may be wondering how in the world can this possibly be a solution to excruciating pain. It is easy to understand how this can work. Can you recall how sleepy you can become after eating turkey at Thanksgiving dinner? You see, turkey contains the amino acid Tryptophan. This wonderful amino acid stimulates the dopamine in the brain, the chemical that makes us have happy feelings. Dopamine release serotonin into our bodies which help to relieve anxiety, relaxing us to let go of worry and negative thoughts. What is even more amazing that this entire chain of events can relax the muscles that surround the brain and soothe the capillaries of the scalp thus relieving that migraine headache. So, you see, I found better ways to relieve my migraine pain that do not involve OTC medications. In fact, these home remedy suggestions are very satisfying and enjoyable. I recommend that everyone in search of a better way to relieve their migraine headache pain give these suggestions a try. You will be quite pleased at the results. 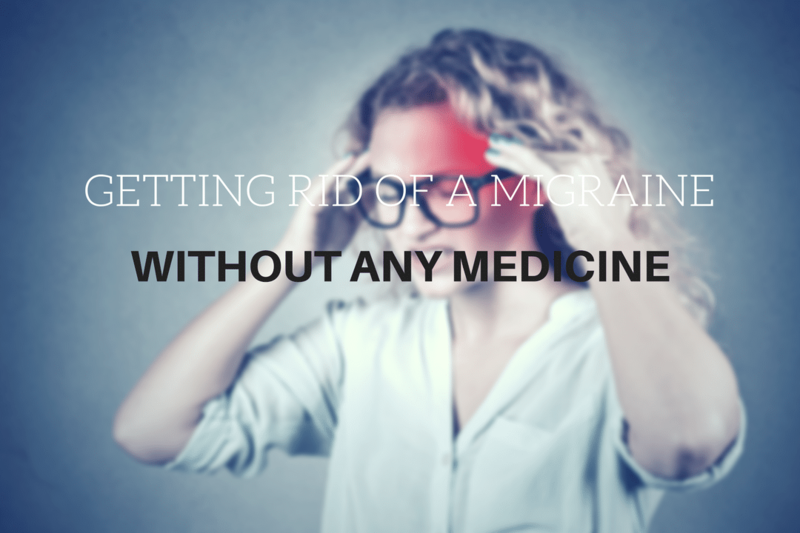 In conclusion, doing your research on OTC medications can be very effective for migraines, seeking chiropractic treatment is also an option. At this facility I found Braincore Treatment which is another non-medication option. Please take the time a research all I have talked about in this article.